Our newest franchisee, Silvio hits The West Australian’s Inside Cover! Ben O’Shea from The West Australian posted a pic of Silvio with his famous Weeding Women wheels on Thursday. 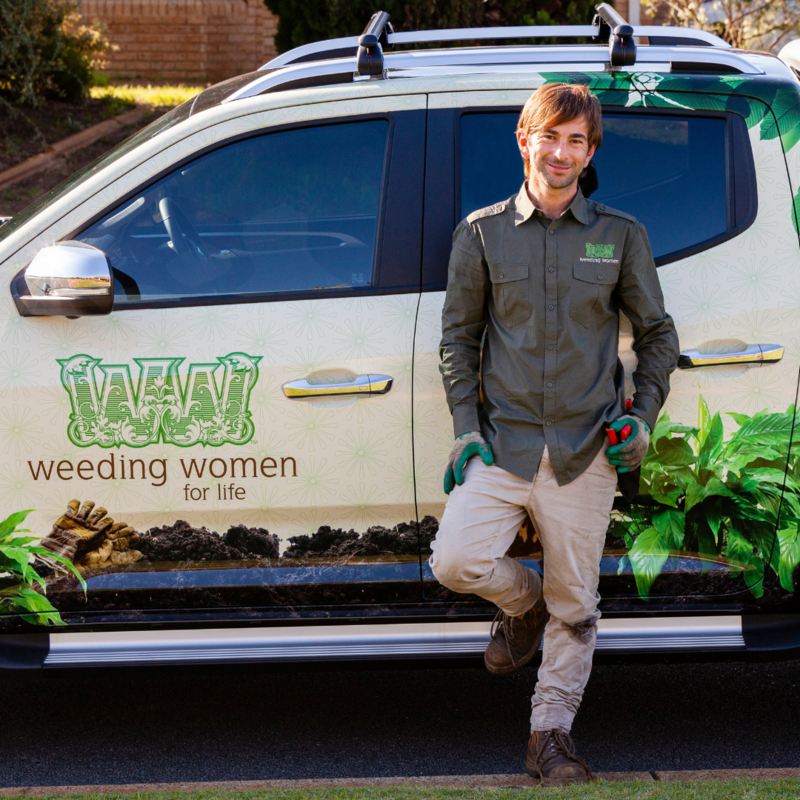 Reported as ‘the first male Weeding Woman’ – the story is a great coup for Silvio as he kick-starts his own business as our Fremantle franchisee. Of course many customers will recognise Silvio as he’s been a hard working member of the Weeding Women team for over five years. Congratulations on your new ‘Page 2’ status Silvio! You can read the whole story HERE. And see all of Silvio’s services HERE.